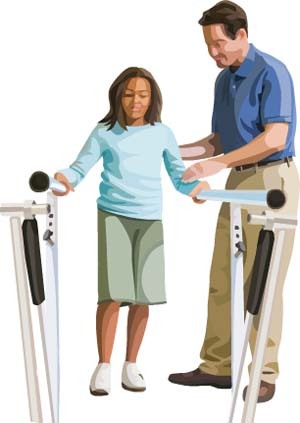 Physiotherapy is an exercise program that helps you to improve movement, relieve pain, encourage blood flow for faster healing, and restore your physical function and fitness level. The main aim of physiotherapy is to make your daily activities such as walking, getting in and out of bed, or climbing stairs easier. It can be prescribed as an individual treatment program or combined with other treatments. Physiotherapy is usually ordered to help you recover after certain surgeries, injuries and long-term health problems such as arthritis. It involves a combination of education, manual therapy, exercises and techniques such as water, heat, cold, electrical stimulation and ultrasound. For knee problems, therapy involves strengthening and stretching certain joints and muscles. Physiotherapy for the knee is designed to improve muscle strength of the knee and reduce pain.